A pearl is a precious and highly personal piece of jewellery, often with significant sentimental value. 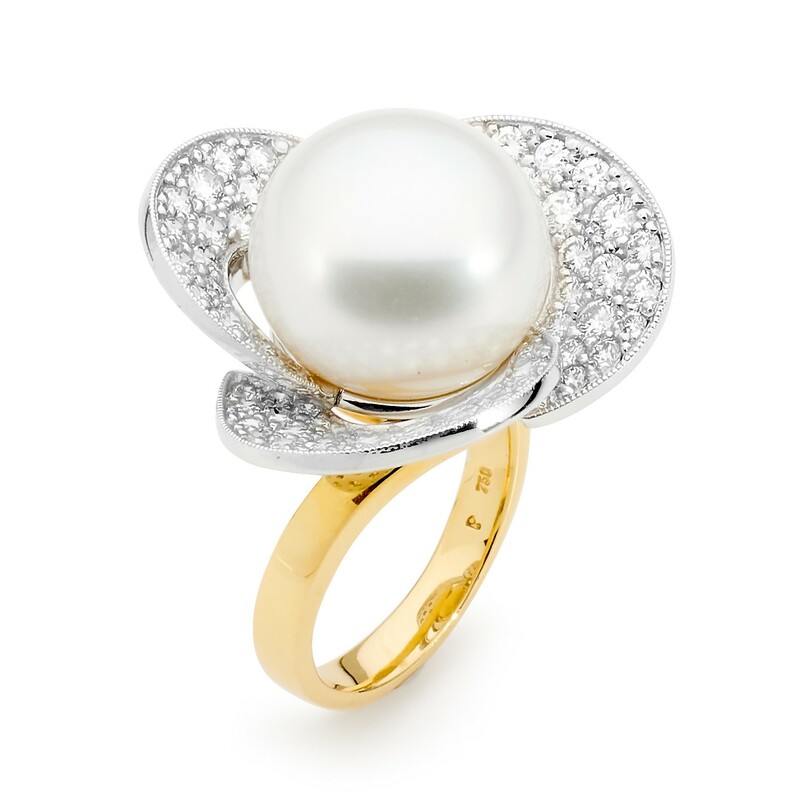 When choosing a pearl, quality should therefore be the first consideration. It is also helpful to understand how pearls are created, and how their characteristics are defined. This brief guide to South Sea pearls has all of the essential information to help you in choosing one of these beautiful gems. The luminous, reflective properties of a pearl are the result of its structure, consisting of layers upon layers of translucent nacre created by the oyster. The many factors which converge in this miraculous process – the type of oyster, the water quality, the climate, the seeding – result in a magnificent variety of pearls. There is a pearl to meet every style, taste and occasion, from an avant-garde statement piece to a small, classic keepsake. The most valuable pearls are naturally the rarest, prized for their size, colour and quality. Why Allure South Sea Pearls? 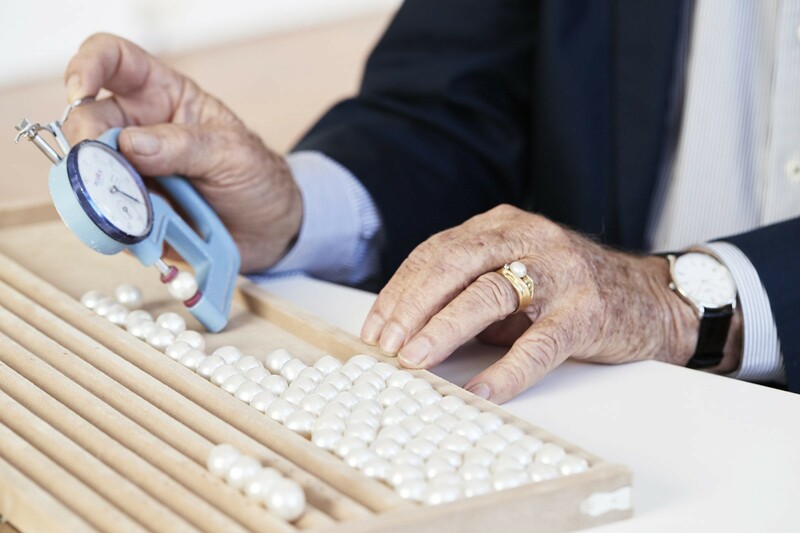 The Australian, Tahitian and Philippine South Sea pearls that we use in our pearl jewellery are internationally regarded as the finest and most prestigious in the world. Among the largest and rarest of cultured pearls, they feature a distinctive lustre and superior strength, endowed by their thicker layers of nacre. When properly cared for, they will last many lifetimes. The most striking feature of a pearl, defining its first impression, is usually its size. It’s no accident that the most breathtaking pearls are usually the largest. 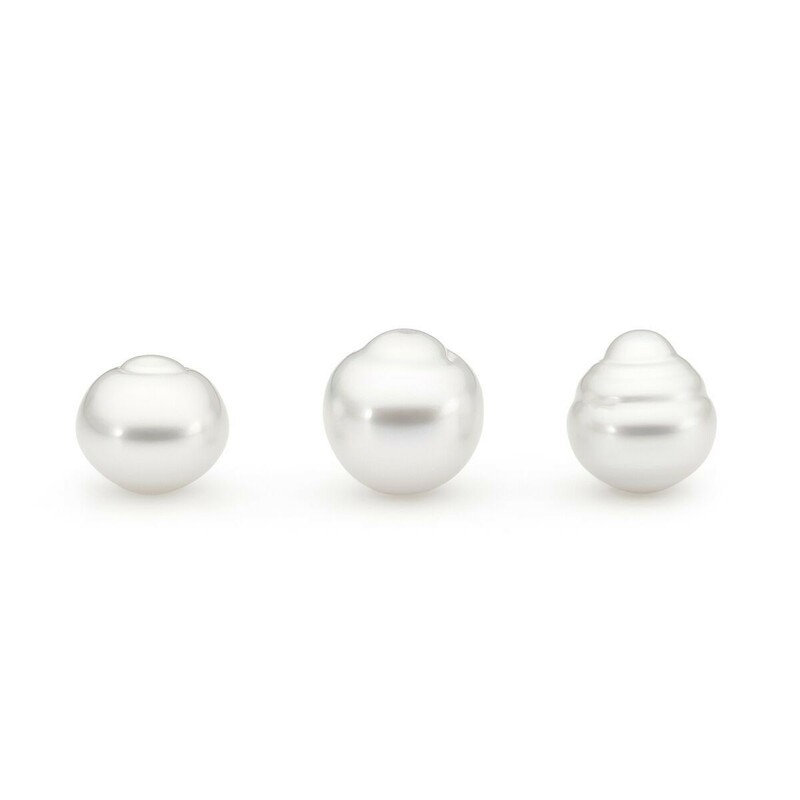 Allure South Sea Pearls range in size from 8mm-20mm, with some rare gems exceeding 20mm. The price of a pearl increases exponentially with its size. In general terms, each millimetre adds 30% to the value of the gem, so that the price of a 20mm flawless white-pink pearl will be many times that of its 10mm counterpart. A pearl’s lustre is not just a measure of its reflective properties. Lustre refers to the effect produced by light travelling through the numerous layers of nacre and reflecting from within the pearl. 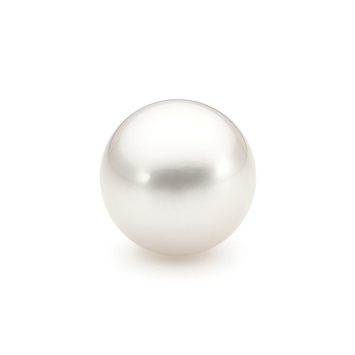 A pearl with high lustre has both a beautifully reflective surface and a luminous depth, such that it appears to glow. South Sea pearls are famed for a particular feature of their lustre called ‘orient’. Orient refers to a subtle and enchanting play of colour across the surface of the pearl, which only occurs when the nacre is exquisitely well-formed. Often what draws us to a pearl is its colour. Pearl colour is a particularly personal choice, perhaps complementing your style or skin tone or marking a significant occasion. South Sea pearls come in a wide range of colours, from timeless white and cream to opulent gold and dramatic black. While pearl colour does not on its own denote value, the rarer and more in-demand a colour becomes, the more valuable it will be. Black pearls originate in Tahiti and the warm oceans of the South Pacific. Tahitian black pearls are produced by the Pinctada margaritifera oyster, which is renowned for its exotic colours, from dusky black to the magnificent, iridescent ‘peacock’. 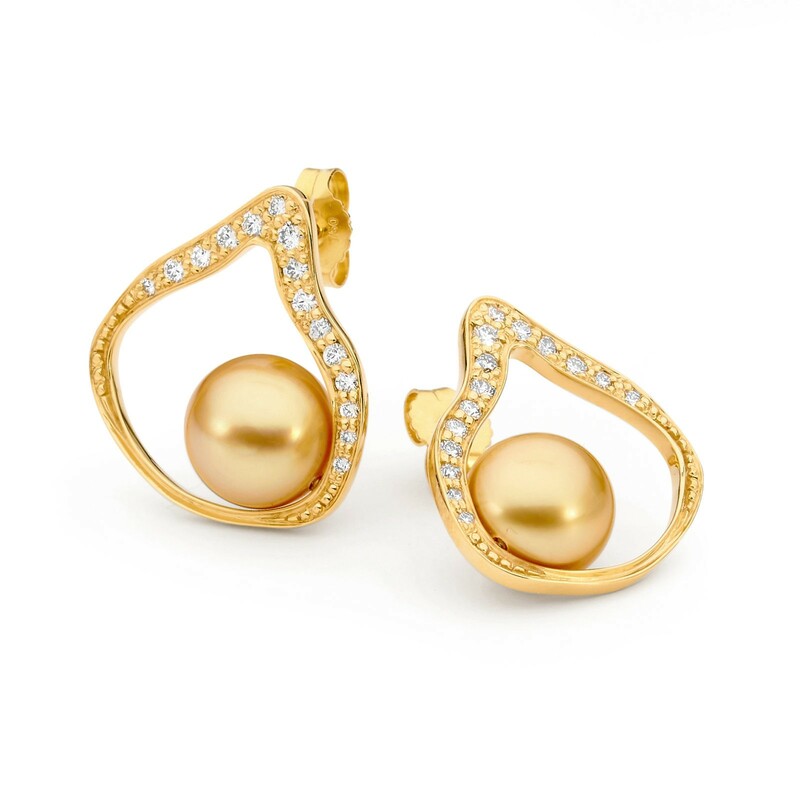 Gold pearls are produced by the gold-lip Pinctada maxima oyster, principally in the Philippines. Striking and dramatic, gold pearls range in colour from cream, champagne and yellow through to the coveted intense gold pearl. All Allure South Sea pearls are natural in colour. A flawless complexion is exceptionally rare and highly valued. Just as diamonds almost always have internal flaws or inclusions, most pearls will show small marks or spots. These marks are considered characteristics rather than imperfections, though a pearl with very visible imperfections in its complexion is worth significantly less. Pearls are shaped by nature, and come in a myriad of forms. Each has its own beauty, and the value of a particular shape is largely determined by its rarity and how sought-after it is.